Allied Beauty Experts has developed a new technology that recreates one of natures most revitalizing occurrences, Cold Plasma. 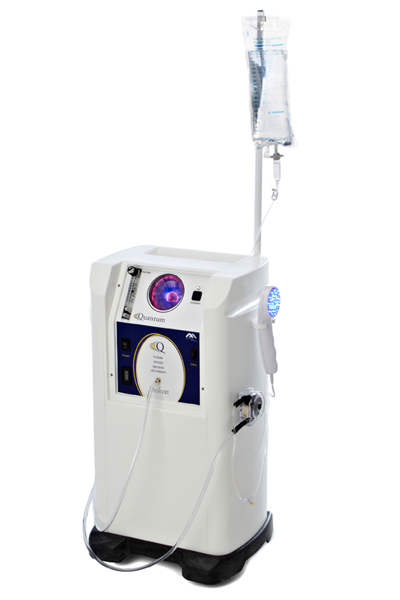 Allied Beauty Experts proudly introduces to the Beauty and Wellness industry, the “Quantum” Electro Ionization unit. The Quantum is a new modality of skin treatment with no contraindications. It utilizes Cold Plasma to treat the skin. If you have clients who are looking for a noninvasive skin treatment that produces immediate and long lasting results, the Quantum is perfect for your spa. The best part is you and your clients will no longer have to deal with embedded crystals and dust, clogged hoses and breakdowns, uneven or over treatment, burns or downtime, dehydration or irritation. “My client’s skin was literally GLOWING! Their lines were gone and the skin was much firmer. I didn’t think it would last – but it did!” -Kathy C.
“My skin has never felt so tight and firm, and with no down time I walk out not even wanting to put on makeup. It’s about time they came up with a machine that could get incredible results without any pain. 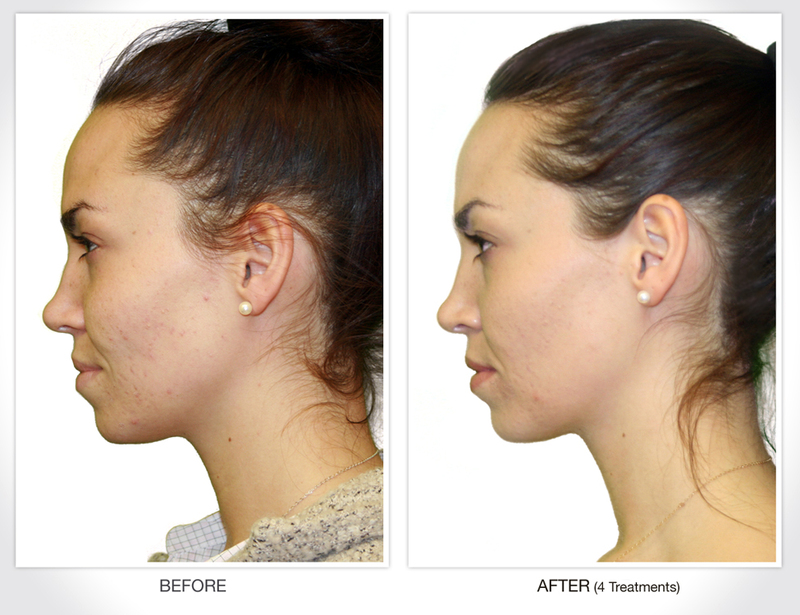 I will be back for another.” -Alicia C.
“I have severe acne. In the first treatment, more than 50% cleared up. But, what really surprised me was how calm my skin looked after the treatment. 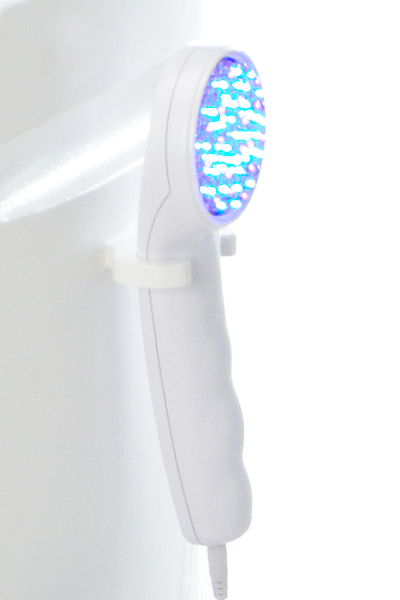 It took about four sessions total to clear up my acne.” -Kristin D.
“I love this machine! Not only did I see a difference the very first time I had a treatment, – I’m still benefitting. All my friends are doing injectables spending a fortune – while I have no lines. Thank you – you’re the best!” -Sherrie S.
What is Electro Ionization (Cold Plasma)? The Electro Ionization procedure is a controlled penetration process. Electro Ionization technology combines negative or positive ion fields (depending on what treatment is necessary) with natural saline solution, similar to the type used to rinse contact lenses. When the saline solution comes in contact with the ions the saline becomes highly energized. This ionized gas disassociates molecular structure. Electro Ionization works differently than lasers, which vaporize skin cells, or chemical peels, which utilize acid to burn skin cells. Electro Ionization technology effects skin cells at a molecular level. The advantage to cellular treatment is that the technician can achieve substantial results with little or no trauma caused to the skin. Electro Ionization treatments are excellent for clients with sensitive skin or those who have thinning skin and have lost elasticity. The Electro Ionization system consists of an ionization chamber that ionizes oxygen which is released along with the saline solution. When brushed across the face the Ionization field tones, tightens and sterilizes the skin – creating a refreshed, enhanced appearance. The gentle, noninvasive treatment does not remove the epidermis, but rather forces ions into epidermis to create a healing response. The ion field created by the Electro Ionization hand piece has also been shown to be highly antibacterial, and is beneficial in treating acne. The entire treatment is typically performed in 25-30 minutes, and leaves your skin tighter, firmer, sterile and hydrated. The Electro Ionization system is easy to use with no maintenance or calibration necessary. The portable design allows for easy transfer from room to room. Prior to treatment, all make up should be removed and the skin thoroughly cleansed. Because the procedure is wet, some additional pre-treatment preparation is necessary. 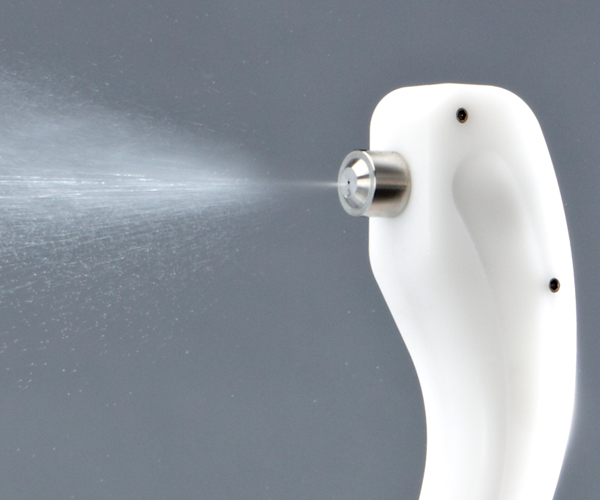 The Electro Ionization handpiece is placed in contact with the targeted treatment area. The hand piece is then moved lightly across the client’s face in a painting motion. Using the same saline solution used to hydrate our bodies, the Quantum Ionization procedure produces a cooling sensation as the saline is ionized and gently penetrated into the epidermis. Electro Ionization treatment is one of the few treatments that can be used over and around the eyes to tighten loose tissue. For best results, clients should repeat the Electro Ionization treatment four to six times at 7 day intervals. Patients with sensitive skin may experience a temporary flushing or reddening of the skin during treatment. Electro Ionization treats sun damaged or rough textured skin, aging or dehydrated skin, acne, oily skin, and scar tissue. Electro Ionization is NOT microdermabrasion. Although both Electro Ionization and microdermabrasion treat the skin, micro-dermabrasion propels micro crystals at a high speed across the surface of the skin. Electro Ionization works in a non-invasive manner by penetrating an ionized field into the epidermis. The Electro Ionization treatment is quick – typically taking between 25-30 minutes for a treatment. Besides the tremendous speed of the procedure, Electro Ionization does not imbed crystals into the skin or dehydrate the tissue. No after treatment is necessary following Electro Ionization, because the skin tissue is clinically sterilized, super hydrated, and the procedure is completely non-invasive. This makes Electro Ionization a true corrective procedure with no “down time.” Electro Ionization has both long term and immediate results that you can’t find in other procedures.